Having storm windows installed is one of the most cost-effective ways to protect your home in the event of a tropical storm or hurricane. Here at Majors Home Improvement, we know this fact very well, which is why we are so pleased to install durable storm windows for homeowners in and around Pensacola. We’ve been doing so since 1997, so you can trust that we know what we’re doing and will provide you with a long-lasting product that will defend your home when wind and rain are at their most vicious. We’ve been recognized for our commitment to excellence with an A+ rating with the Better Business Bureau and a five-star rating with GuildQuality. 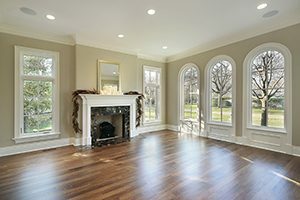 We truly believe that a window installation can be an all-around pleasant experience, and this is why we provide Red Carpet Service for our customers. This means that we’ll go the extra mile during your installation by keeping you informed, maintaining a clean and respectful jobsite, and doing whatever we can to lessen your pets’ stress. Our installers are factory trained and certified and know exactly what they’re doing when it comes to window replacement. They are proactive problem solvers who won’t consider their job complete until you are happy. We back our storm windows with double lifetime warranties, protecting both the parts and labor for added peace of mind. Contact Majors Home Improvement today to learn more about our storm windows and installation service. We are proud to be the window replacement company of choice for homeowners throughout Pensacola.